DOES YOUR POND NEED A SHOWER? 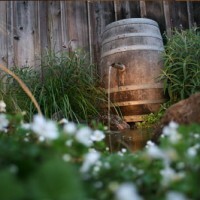 By: Mike Gannon | Posted On: March 19th, 2012 | 1 Comment on DOES YOUR POND NEED A SHOWER? 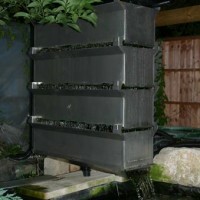 Bakki shower filtration is a fairly new approach to pond filtration here in the United States, yet it has enjoyed some popularity in Japan and the UK for some time now. Bakki showers would seem comparable, in concept, to the familiar “trickle” type filters that are well known in the pond and aquarium industry; but there are differences. The design of the Bakki showers typically will consist of deep stainless steel trays. The trays are filled with filter media and have the water delivered on top, trickling down through the filter media, and then discharged from the bottom of the tray. The discharge into the pond looks like it is leaving a large shower head. 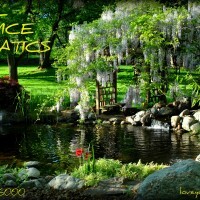 FULL SERVICE AQUATICS NEW POND AND WATER GARDEN WEBSITE IS HERE! By: Mike Gannon | Posted On: March 5th, 2012 | No Comments on FULL SERVICE AQUATICS NEW POND AND WATER GARDEN WEBSITE IS HERE! 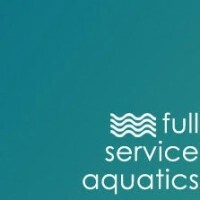 The new FULL SERVICE AQUATICS website is beautiful, and ready for your visit. It is so easy to use and so smooth. Plenty of beautiful things to look at and watch. Plenty of information too, so easy to access. 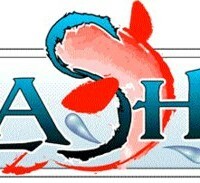 We are calling the new website LOVEYOURPOND.COM and it was designed with the “koi pond and water garden minded” in mind. Welcome. 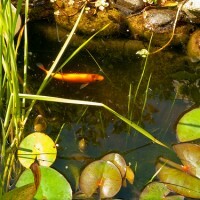 The Golden Orfe, or Ide, is a somewhat overlooked choice as a fish to stock your pond and water garden with these days; yet the Orfe is an easy to find and affordable pond and water garden fish. Most pond fish dealers stock the Golden Orfe because they know about its hardiness, interesting behavior, and easy upkeep when it comes to our backyard pond installations. SHARK POND!! EASIER THAN YOU MAY THINK. By: Mike Gannon | Posted On: January 20th, 2012 | 24 Comments on SHARK POND!! EASIER THAN YOU MAY THINK. So you’ve always wanted to tell people that you have a shark pond. The goldfish pond was too tame and the koi pond doesn’t feel edgy enough for you right? Now here is a way around that dilemma, without you having to build a 150,000 gallon saltwater heated backyard pond. 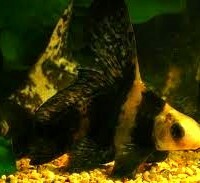 The Chinese Hi Fin Banded Shark! This shark can easily make a home in your pond. 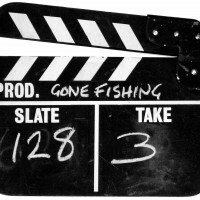 By: Mike Gannon | Posted On: November 7th, 2011 | 9 Comments on LIGHTS, CAMERA, PONDS! When I was a kid we had 7 channels of television to choose from; 3 of which I watched. This was not because of strict parents, it was because we literally only had 7 channels to watch; but I still managed to get in my fair share of tv viewing. It is almost unimaginable today to even consider the idea of such a sparse selection of programming to watch. Not to mention the fact that I had to get up and walk all the way to the TV to change the channel. It was torture. In 2006 I went to Martha’s Vineyard, Massachusetts to build a pond for my brother. Since we were little kids my brothers and I had always kept pets as a shared (or not so shared) hobby. We kept fish, frogs, turtles, salamanders and all sorts of other aquatic and terrestrial animals. Most of the time we were collecting our “pets” from the creek that was by our house or from the woods that our house backed up to. LET’S MAKE A DEAL. BARTERING FOR PONDS! 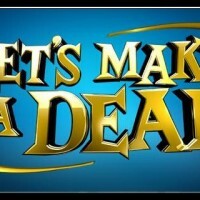 By: Mike Gannon | Posted On: October 19th, 2011 | No Comments on LET’S MAKE A DEAL. BARTERING FOR PONDS! As a small business owner there is not too much better than when at the completion of a project my customer is satisfied with the results, and makes that final payment to complete the transaction we both entered into. I’m happy, my customer is happy, we both made a good trade. Goods and services in exchange for monetary compensation is happening everyday all around us; it is the norm of today’s business transactions. 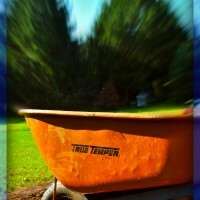 A recent pond installation project got me thinking about these everyday transactions a little deeper.